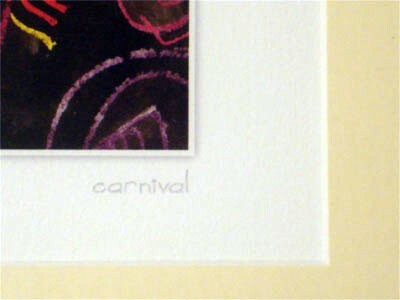 We thought we would try some giclee ideas we had, here’s a colourful and bright giclee art print entitled Carnival. (mind you at this time of year perhaps we should have called it “Fireworks”. 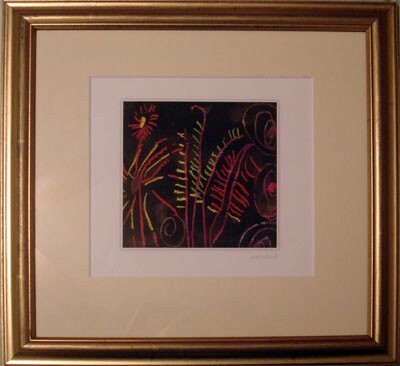 This art print is in a square cream mount and square gold effect frame. Prints are produced on heavyweight mould made pH neutral etching paper.